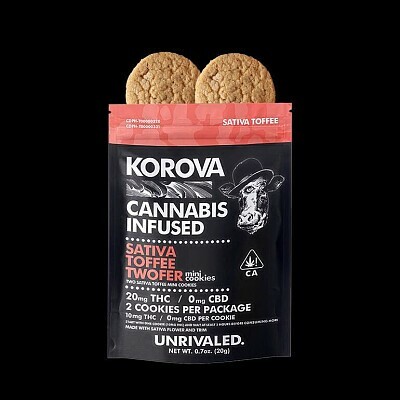 The Sativa Toffee Twofer Mini Cookies are made with actual Super Silver Haze flower and trim! Two delicious cookies packed with delectable toffee pieces. 2 mini cookies per package, 10mg THC per cookie.